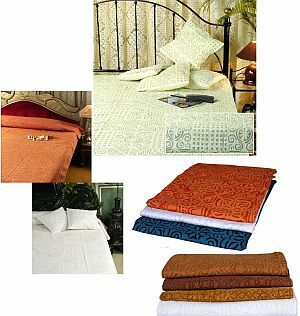 Panpaliya Brings to You a Wholesale lot of Our Hottest Selling Bedspreads. 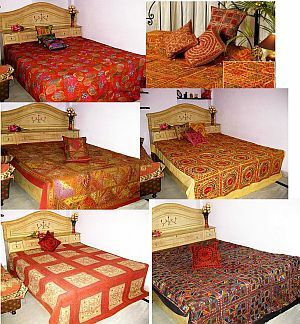 Available in size 225cm by 275cm This Big Bedspreads is Available in the Incredible hand work, Embroidered, Mirror work, applique work of India, They give us traditional and rich look. 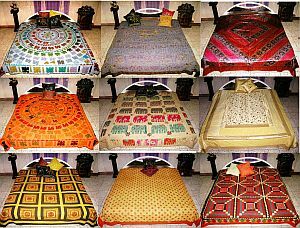 This fresh made lot will be a great introduction to Panpaliya for your store, boutique or studio. 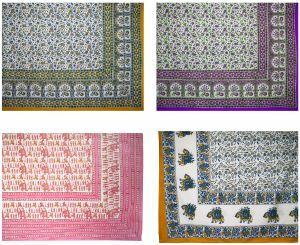 With More Than 60 Different Embroidery Design Regularly Produced, This Wholesale lot Consist Of Mix Assorted Embroidery Designs. Perfect Blend For Sampling & Sale For Retail. 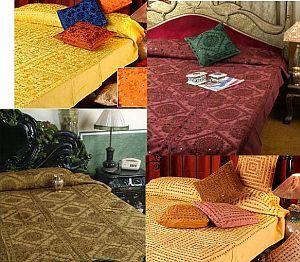 Wholesale lots Silk Embroidered Bedspreads Lots with 2 pcs cushion covers and 2 long pillows comes in Assorted 20 colors and designs size is 225 cm by 275 cm.